PetroSaudi. Justo, a Swiss national, is serving a three-year jail sentence in Thailand for blackmailing and extorting his former employer. But the Thai investigation into his case had opened a Pandora’s box of the lengths Rewcastle-Brown and her fellow plotters were willing to go to, to overthrow Datuk Seri Najib Razak’s government. At the heart of these revelations, according to sources close to Thai authorities, were three-month-long WhatsApp conversations involving Rewcastle-Brown, The Edge Media Group’s Datuk Tong Kooi Ong and Ho Kay Tat, and Justo, who had offered to sell his stolen data to the highest bidder. On July 15, the New Straits Times reported that a former editor of the Sarawak Report had claimed that Rewcastle-Brown had forged the documents used to defame 1Malaysia Development Bhd (1MDB) and Najib in several exposes published by the site. The editor, Lester Melanyi, was also said to have named several people, including prominent opposition politicians, among those involved in the conspiracy to topple the government. The WhatsApp conversations, sources said, also revealed Rewcastle-Brown’s close ties with jailed opposition leader Datuk Seri Anwar Ibrahim, DAP lawmaker Tony Pua and former premier Tun Dr Mahathir Mohamad. Justo has claimed that he was promised US$2 million in exchange for data he stole from his former employer. He had told Singapore’s The Straits Times in a prison interview recently that he was never paid what he was promised by a prominent Malaysian businessman. Thai sources later identified the Malaysian businessman as The Edge’s Tong. In a subsequent interview, Justo claimed that a deal on the sale of the documents was reached in Singapore in February, which was followed by lengthy discussions on how he would be paid. The group of people he met in Singapore to negotiate the sale of the data were named in a 22-page confession Justo made to Thai police. Justo had echoed what Thai police said recently, that his confession was backed up by documents, including a record of his WhatsApp conversations with the buyers. Rewcastle-Brown had agreed to receive the US$2 million from the buyer and send him US$250,000 a month for consultancy services, he claimed. Thai sources said based on the extensive WhatsApp conversations, Rewcastle-Brown also explained how she would help Justo raise and, then, launder the US$2 million. 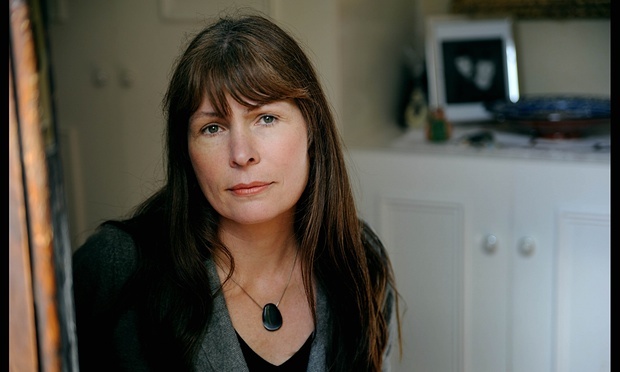 She later offered the Swiss Bruno Manser Fund as a channel for the US$2 million, writing on April 22: “He can pay Bruno Manser Fund if he likes.” She finally agreed to sell a stake in Sarawak Report to pay Justo. May 19, 16:32: He wants to pay through BVI (British Virgin Island) company!! It will look horrible in my published accounts! I will talk it through face to face. Better than dealing with awful KT. May 19, 16:37: They will say I criticise BVI companies but use them myself. Sigh. May 19, 17:11: I am campaigning to prevent these tax havens. They will call me hypocrite. I will not make a fuss till I see them and can work out a solution with Tong direct. Brown had, in the past, rubbished the allegations against her as “bunkum”. Tong and Ho had issued a statement on July 24 in response to the Justo interview in The Straits Times. Both said they misled Justo and it was the only way to get a hold of the evidence. They also said they did not pay anyone to get the story. “We have done nothing wrong.” Thai police arrested Justo, 48, on June 22 at his spacious residence on the resort island of Koh Samui. Justo, a former head of IT at the London office of PetroSaudi, admitted that he had stolen company data — some 90 gigabytes worth — when he left in 2011. He said he asked PetroSaudi for more money in 2013, but it turned him down. Subsequently, through a contact in Geneva with connections in Malaysia, he was introduced to Rewcastle-Brown, whom he later met in Bangkok at the Plaza Athenee Hotel, and in Singapore, at the Fullerton Hotel. In Singapore, she was accompanied by the others named in his confession. The NST made repeated attempts to reach Rewcastle-Brown, Ho and Tong for a response. But at press time, none responded to the queries.